Theresa M. Butler is the chief executive officer of Middletown Community Health Center Inc. in Orange County, NY, a position she has held since 2006. She has over 25 years experience in the medical field, having worked for Montefiore Medical Center, Albert Einstein College of Medicine, Nathan Kline Institute for Psychiatric Research, and Volunteers of America. Theresa spearheaded the O&W Project or the “Pathway to Health,” which is transforming a 30,000 ft abandoned railroad station in Middletown into a primary care headquarters and has already been given support by Senator Chuck Schumer. Theresa is a second-generation Irish American and Bronx native with ancestors hailing from Cork and Mayo. It is “the legacy of a strong willed, determined heritage,” she says, “that has allowed me to fulfill my American dreams of success.” She received a B.S. 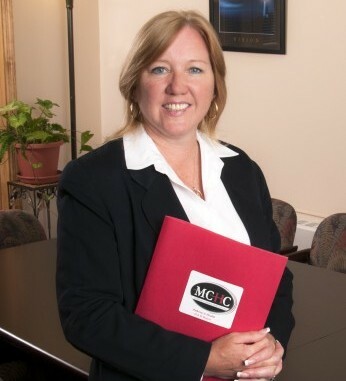 in business administration from Mercy College and went on to receive a master’s in public administration from Marist College. Theresa’s career achievements were highlighted in Mercy College’s Success Story 2003 Annual Report. She currently lives in New York with her three children Peter, Caitlin, and Kelsey.